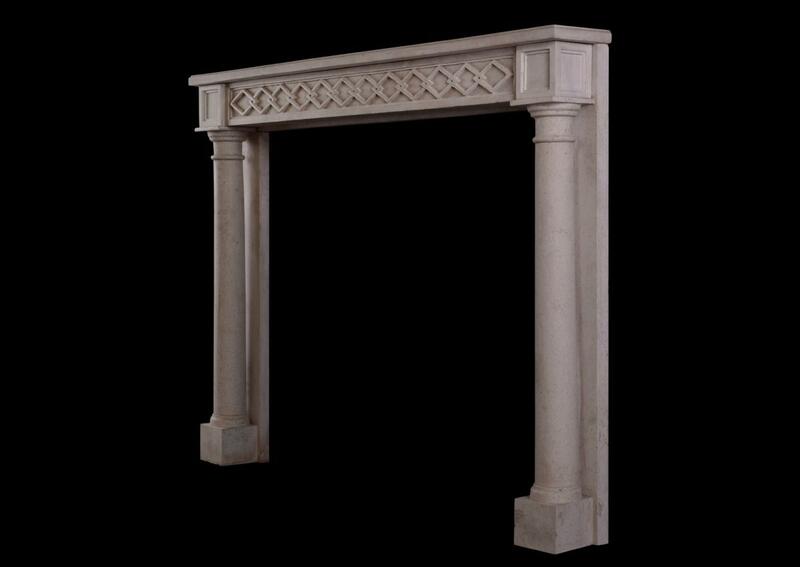 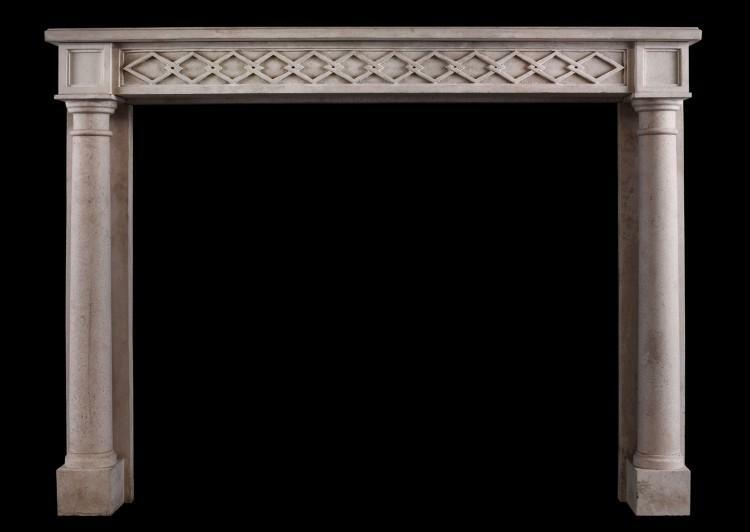 A French Empire style limestone fireplace. 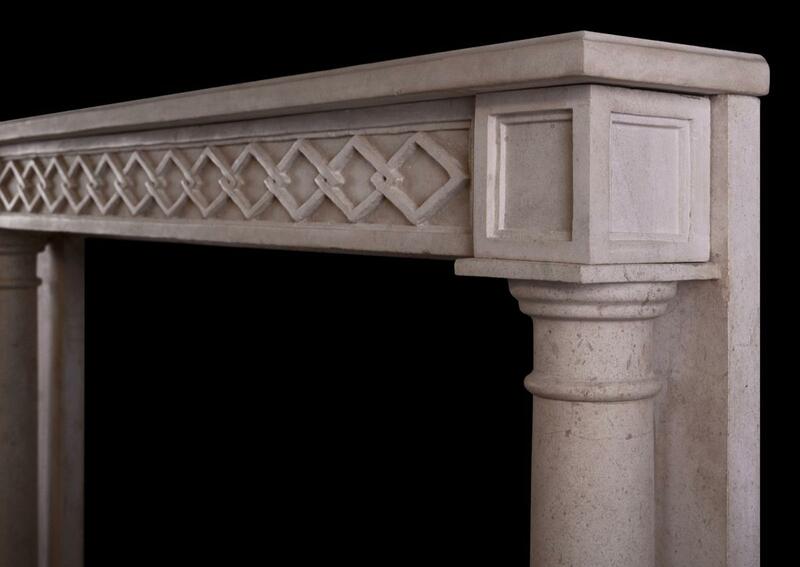 The frieze with interlocking diamond pattern with tapering, full round columns. 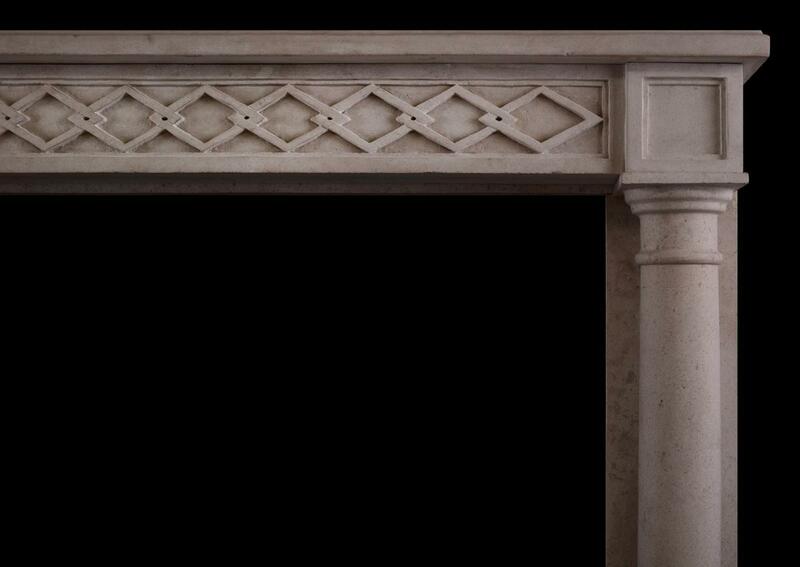 A copy of an 18th century original.